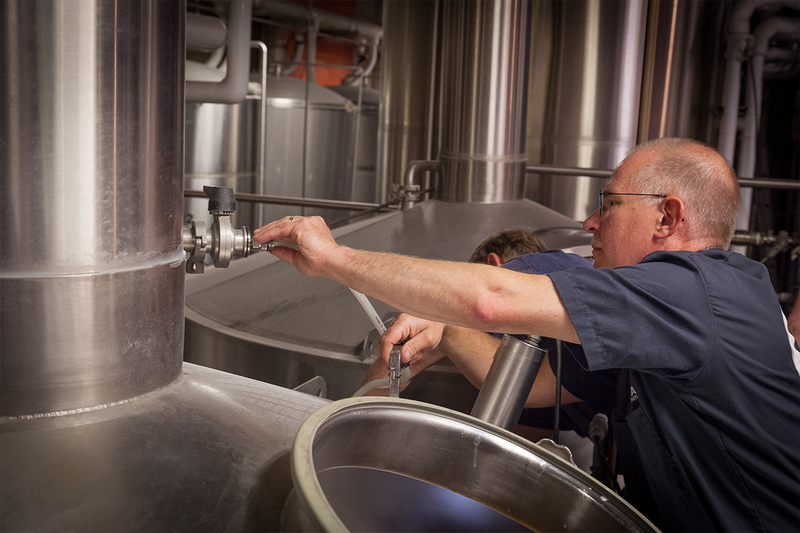 Ever wonder how a Pacific Northwest brewery comes up with the idea for the next great beer? 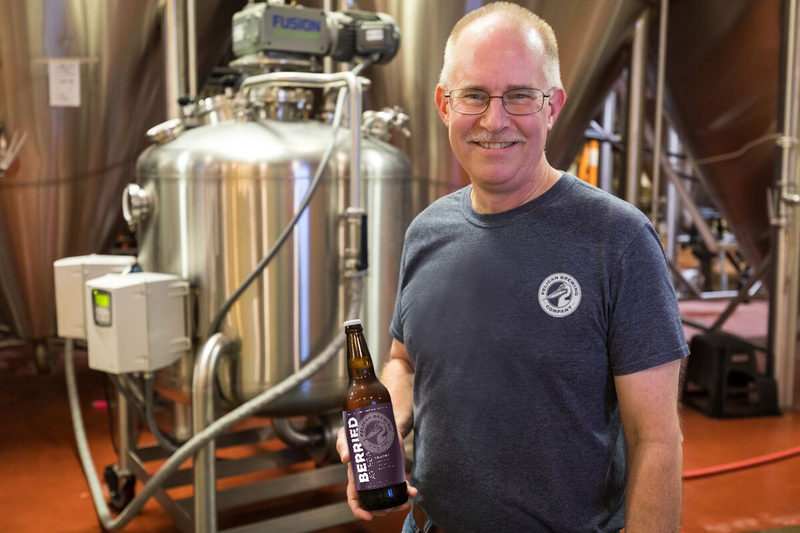 Darron Welch, brewmaster at Pelican Brewing Company and 22-year veteran of the craft beer industry, doesn’t start with a specific style, like an IPA or stout, or even an abundance of hops or other ingredients that he needs to use. Instead, Welch says, the Pelican team begins at the beginning: Imagining the beer flavor, the beer drinker and the ideal beer-drinking experience. And challenging themselves to answer the question, why does this beer need to exist? 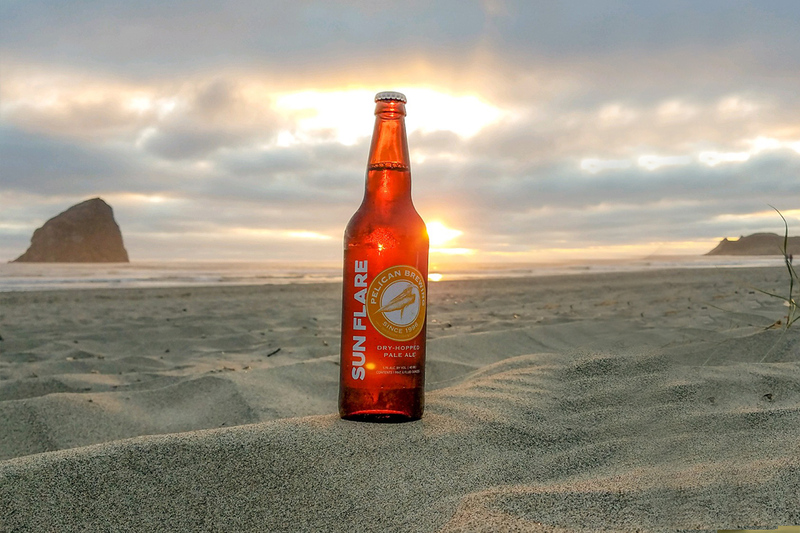 Take Sun Flare, a seasonal dry-hopped pale ale that debuted last summer and returns to store shelves and bar taps this July. Welch’s team started brainstorming the recipe in the place where Pelican began in 1996: Its flagship oceanfront brewpub in Pacific City, on Oregon’s North Coast. First, they imagined a warm, almost-hot summer day, no wind, blue sky. Someone sitting on the sand, squinting at the sun glinting off the waves. What beer does that person want? Then they imagined the taste and feel of Sun Flare: Crisp, with enough bitterness to provide a clean finish, but not so much that the bitter sticks around. A bit of citrus. Low-enough alcohol so you can enjoy two in one sitting. Only after imagining that beer drinker, that beer-drinking experience, and that precise beer flavor, did the team begin to build Sun Flare recipe: A clean malty backbone that lets the zippy, fruity flavors of Meridian, El Dorado and Santiam hops shine. 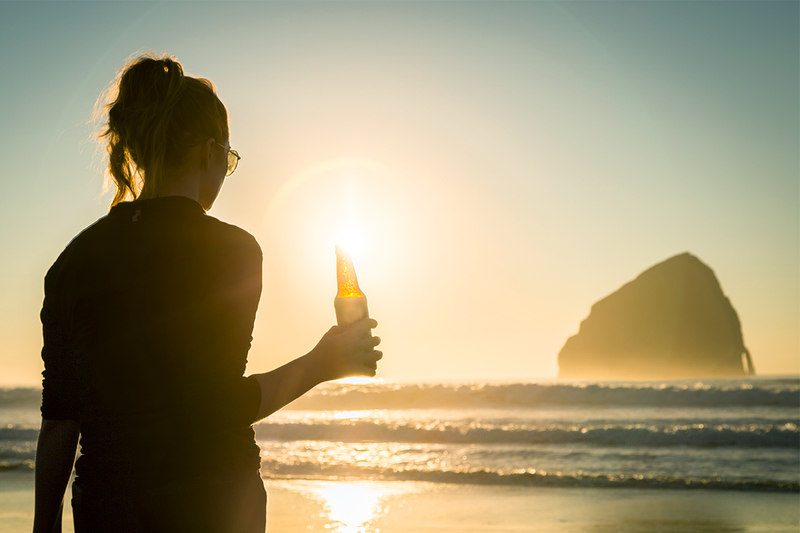 Sun Flare and other beers in Pelican’s roster are created with the company’s proprietary Hoppinator device. The vessel was designed by Welch and Marty Bills, director of brewing operations, with Portland’s Metalcraft Fabrication. 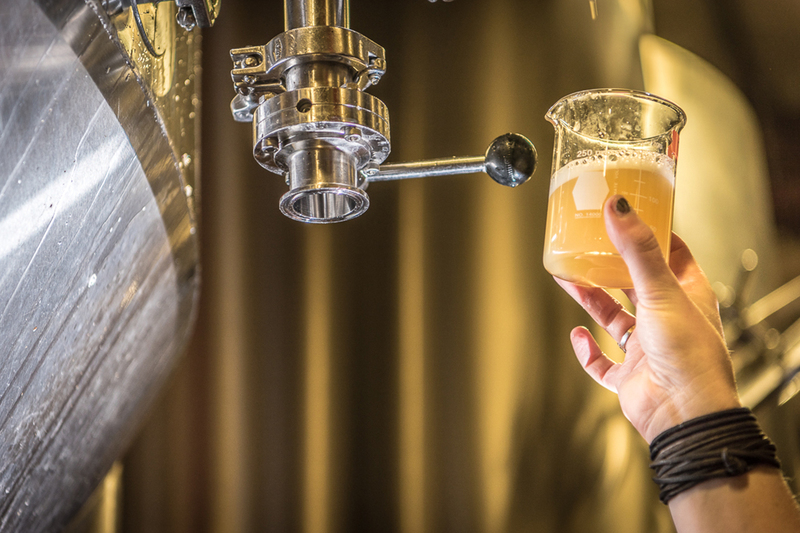 The Hoppinator enables Pelican to use fewer hops to get more flavor and aroma from each batch—creating better-tasting beer, more efficiently. It also allows Pelican to introduce hops into the beer-making process without introducing oxygen, which degrades beer flavor. The Hoppinator plays a similarly innovative role in the creation of the Lone Pelican series, an annual set of small-batch brews that purposefully push beer-making boundaries. For 2018, the series includes four fruit-based beers, beginning with Berried at Sea. Intrigued by the idea of marrying the region’s bounty of flavorful fruits with just the right base beers, Welch challenged his team to answer: Why fruit beers? Why now? A prime example: Pelican’s Raspberried at Sea. The recipe began with a Belgian-style Tripel and Northwest-grown raspberries. When it became clear that the berries’ subtle nature needed a boost, Pelican selected a special, fruit-forward yeast with a bubble-gum-like quality, which accentuates the natural flavor of the berries. Beer aficionados may remember the sickly-sweet raspberry wheats and other fruit beers that peaked in the late 1990s, many of which were made by adding artificial fruit extracts at the end of production. In contrast, Raspberried at Sea, Berried at Sea, Peached on Deck and Cherried at Sea are made with 100 percent whole-fruit puree that is poured into the Hoppinator earlier in the process, during fermentation. The result is a novel quartet of fruit beers whose subtle, natural flavors set them apart from the 1990s version or other fruity trends, like shandies (lemonade plus beer) and some grapefruit-flavored beers.